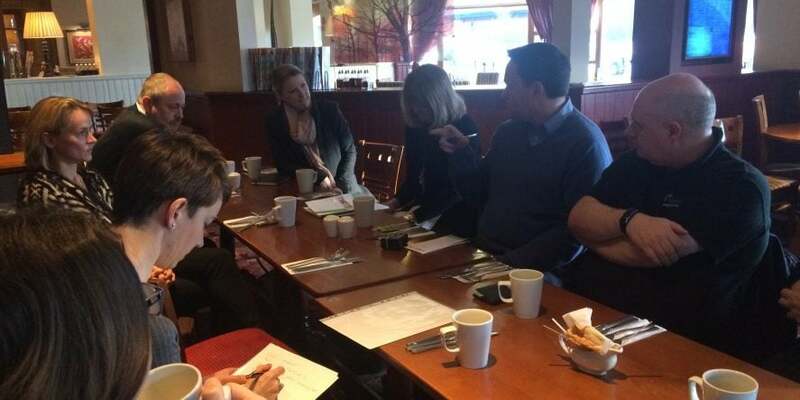 It’s that time again for our longest lasting networking event in Peterborough – our Creative Networking Breakfast which takes place on the 4th Thursday of the month at The Hampton. Arrival is between 7.45am and 8am where you can grab a hot or cold beverage, sign in with Ann (and pay your £12), network informally and add your marketing materials to the bumf table. We will then take to our seats and each person in turn will use their 60 seconds to talk about their business, what they do, how they do it and the sorts of people they would like to be connected with. It is then time for breakfast where you can help yourself to a selection of hot and cold beverages, full English breakfast items and continental breakfast before returning to the table for table networking. Janet, a Reiki Practitioner and Energy Healer, is here today to show you how healing your own personal energy can help you to build and improve your business. Reiki is all about Energy, the Universal Energy that is all around us. Quantum Physics is now showing us that this energy exists and that in fact we are all energy. This means that we can take on the energy – positive or negative – of those around us. This in turn can lower our own personal energy and so have a negative affect on our business. Today you will learn more about this Universal Energy – what it is, how it affects us – and how to recognise it in others. You will also learn a few simple but powerful ways to protect the energy of both yourself and your business. After this will be time for questions and answers and to share any good news of the week that we can promote for you. The event officially ends at 10am, but unlimited hot beverages are available until 12noon so feel free to network after with any attendees you would like to know more about. This event is £12 per person and includes networking, beverages and breakfast – if you bring a food donation for Peterborough Food Bank to Creative Networking you only need to pay £11 for this event. We look forward to seeing you there – don’t forget your business cards!